The Karoo landscapes of blistering horizons, blue mountains, bright blue skies and charcoal singed plains does not exactly conjure up pictures of fly fishing, never mind water or trophy Trout. 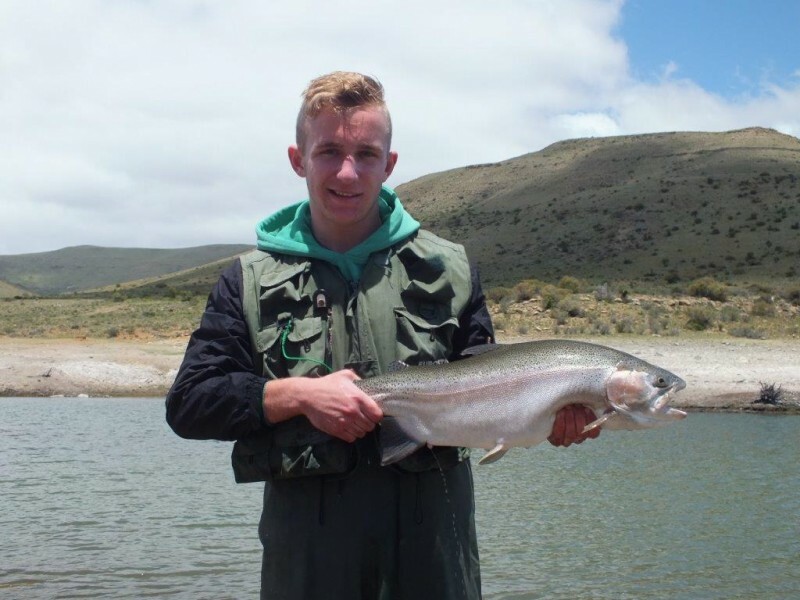 That is exactly why wild fly fishing in the Karoo is so unique and surprising. 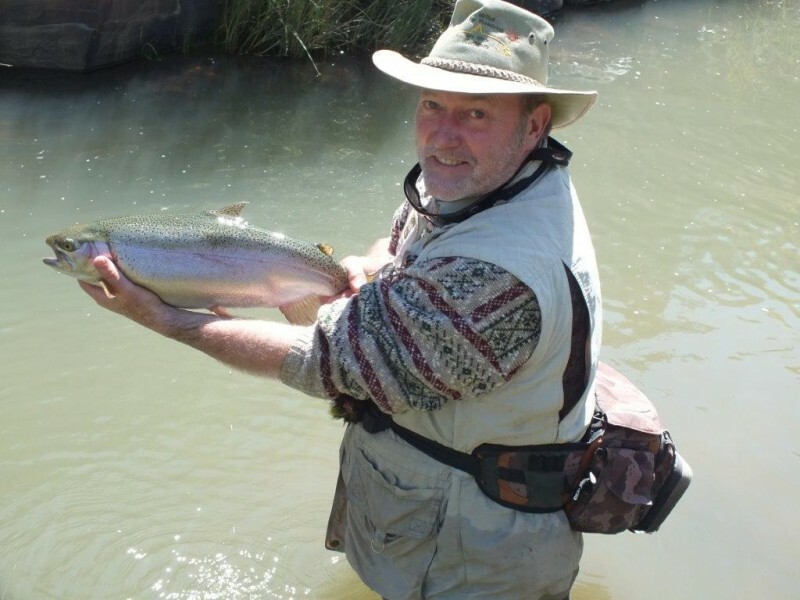 Whilst we do have numerous still water options and river fishing, people struggle to believe that there is such quality and diversity of fly fishing on offer, they actually think we have photo shopped pictures as Trout cannot grow that big, well the proof is in the catching. Our waters are blessed with rich supplies of minerals and nutrients as most of the water is fountain fed, resulting in habitats that produce insects, crustaceans and amphibians that grow on “natural” steroids. Our indigenous frog, the African clawed frog, commonly known as the, Platanna, can produce a thousand tadpoles, every six weeks, after heavy rain, providing the equivalent of a chunk of fillet steak for the fish with very little effort. Thus growth rates of the fish are often over 200 grams per month, producing surprisingly big fish for the size of water they live in. The other mind blow is the fact that our rivers mostly flow underground; visually one generally sees a dry river bed... and the fish? 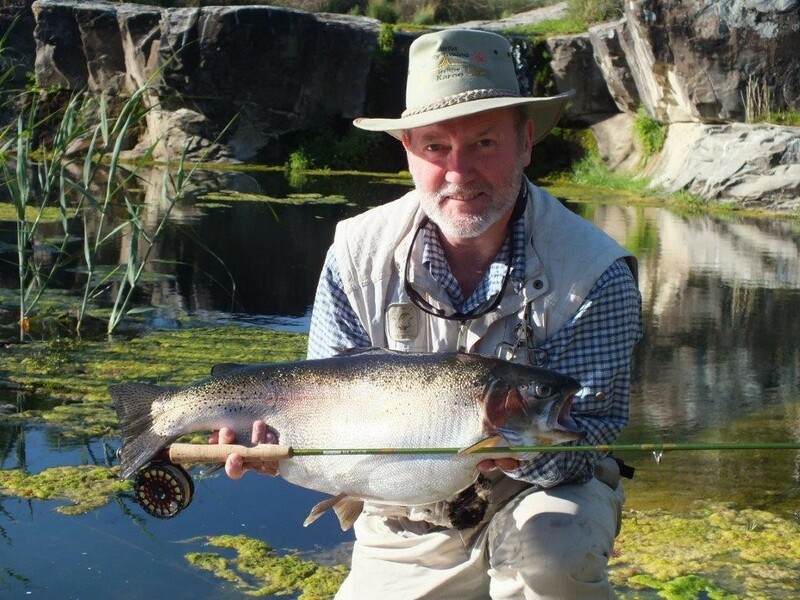 Hundreds of years ago Hippopotamus roamed freely in the Karoo and scoured deep pools below rocky out crops that dissect the river, resulting in pools within the river bed, this is where we fish. The Trout have to be stocked annually as they cannot breed in this environment, hence the survival rate is very low, the fish being predated on every living thing from gigantic dragon fly nymphs, crabs, frogs, birds, etc, and humans. One develops a great respect for the Trout as they don’t grow to these sizes by being stupid, which makes the fly fishing experience that much more special.